Review aggregators Metacritic have released their eighth annual ranking of videogame publishers according to the averaged ‘metascores’ of their releases throughout 2017. 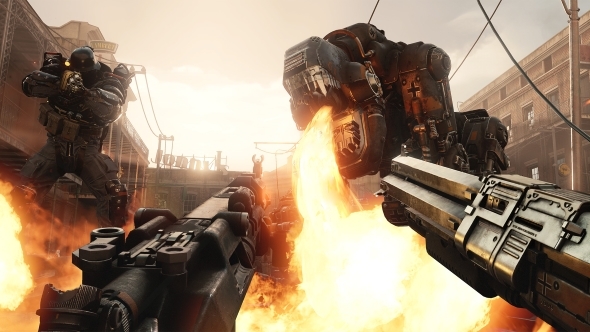 The winners are Bethesda, who put out 12 games – such as Wolfenstein II, Prey, and the Evil Within II – which scored an average of 79.9. You’ll find several Bethesda releases on our list of the best PC games of 2017. Nintendo had a great year in the nether realm of Console Land and came second with 78. With 31 distinct titles in the year – more than any other publisher – their range was much wider, from the heights of the new Zelda (97 metascore) to the nadir of Flip Wars (53). Activision-Blizzard were third on 75.7 – though the table puts them in fourth, behind Sega’s score of 75.5, for some reason. Amusingly, Destiny 2 provided Activision’s best andworst games last year, with a score of 87 at launch, and 57 for its Curse of Osiris DLC. Activision were also slated by Metacritic users, which the site speculates is due to their earning $4 billion in revenue from microtransactions. Interestingly, Metacritic has categorised EA, Microsoft Game Studios, and Take-Two as mid-size publishers, alongside the likes of Paradox, Devolver, and Daedalic. Their definition of ‘mid-size’ is any publisher who releases between six and 11 distinct titles, and EA only managed 11 in 2017. One of these was Star Wars: Battlefront II, which, with a metascore of 68, contributed to the giant’s fall of 6.6 points on its 2016 standings. Its best game was FIFA 18, with a metascore of 84. You can check out the Metacritic rankings in full here.